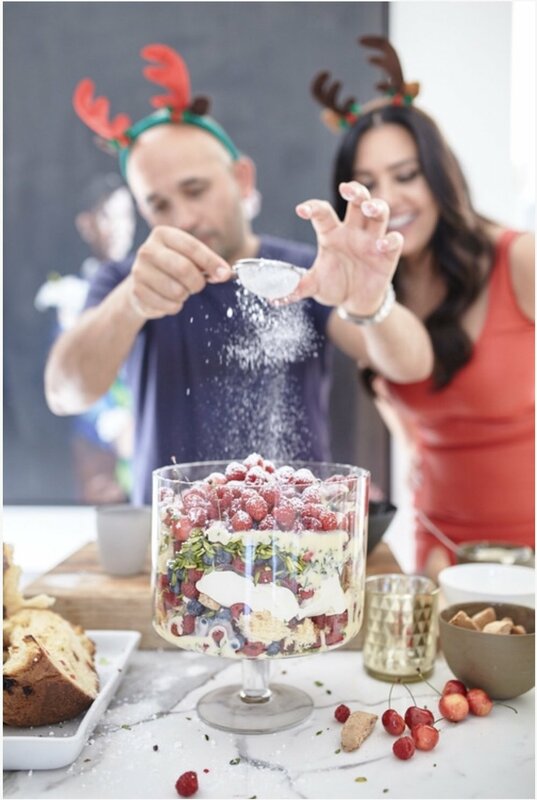 This berry trifle is my favorite and a wonderful twist on Christmas tradition. The sweet, beautiful and delicious dessert ticks all the boxes. Adam and I made this one using my very own panettone. Tear the panettone into bite sized pieces and crumble the biscotti. 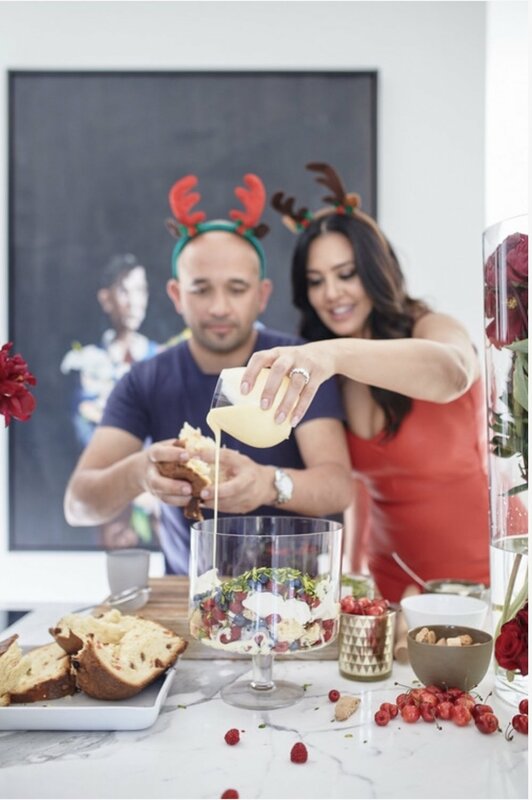 In layers, add the panettone, biscotti, berries, pistachios, custard and cream into a large glass bowl. Top with cherries and mint and dust with icing sugar. Combine the vanilla pod, cream and milk in a saucepan and bring to boil over medium heat. In a separate bowl, combine egg yolks and sugar, whisking until thick and pale. Pour hot cream mixture over egg mixture, whisking continually to combine. Transfer mixture into a clean pan, continually stir over a low heat until mixture thickens. Strain into a bowl and let cool completely.